GPAT 2019: The registration process for both Common Management Admission Test (CMAT) and Graduate Pharmacy Aptitude Test (GPAT) will commence on November 1 and will continue till November 30, December 07,2018. This year, the National Testing Agency (NTA) will conduct the examinations on January 28, and the admit card will be available for download from January 7, 2019. The results for both the examinations will be declared on February 10. 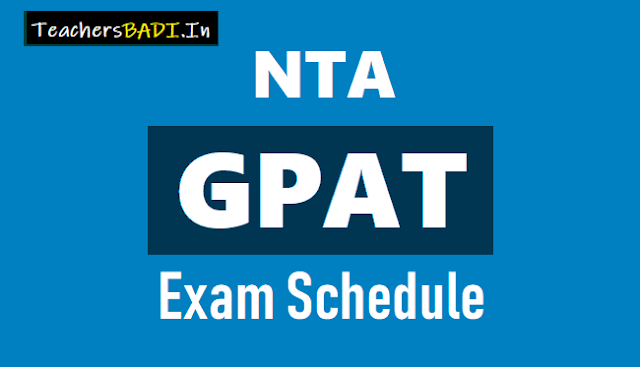 About GPAT: The duration of the exam was three hours and a total of 125 questions of four marks each were asked in the GPAT. There was negative marking as well. A total of 841 institutions took part in GPAT, offering about 24,096 seats for candidates. Scholarships and other financial assistance in the field of pharmacy are also provided on the basis of GPAT score.